You can implement the EventArgs to have your own NotificationEventArgs, that may contain type of notification, and other information. Or, better add that into an Extension Method. Following is how it would work, even for null events. Or if you hate to check for nulls before using the events, instantiate your event with a delegate (tiny performance overhead). 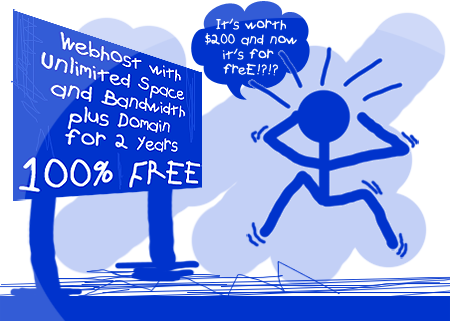 The web is overwhelming with the domain registrars and hosting providers. So, which registrars should you go for and what things should you consider before you buy? Anyway, a piece of unwanted advice based upon personal experience. Avoid Arvixe an sites similar to these; you can see the product feature set is attractive but it all boils down to the customer services. Worst class service. This post is for those developers who develops for Microsoft platforms; and want to "test"-drive their dream service or product. Usually, if you are looking for hosting on Microsoft technologies, the price is going to be higher compared to Open-Source hosting. Why? Because Microsoft servers requires licenses, and sometimes a Microsoft Certified team that takes care of Microsoft servers; hosting provider is the one that bears the cost. Virtual private server (VPS) is a marketing term used by Internet hosting services to refer to a virtual machine for use exclusively by an individual customer of the service. The term is used to emphasize that the virtual machine, although running in software on the same physical computer as other customers' virtual machines, is functionally equivalent to a separate physical computer, is dedicated to the individual customer's needs, has the privacy of a separate physical computer, and can be configured to run as a server computer (i.e. to run server software). A dedicated hosting service, dedicated server, or managed hosting service is a type of Internet hosting in which the client leases an entire server not shared with anyone. One thing to keep in mind beyond just the price aspect is the service you get. One of the best ways to get that, is to register for the forum WebHostingTalk.com, where people of all trades discusses about hosting providers, domain providers, their feedback, and services - openly. You can finalize your choices and get the community feedback for choices. If your focus is on Microsoft .NET related technologies, then you must be looking for a provider that hosts for the same. The primary concern for the one who is developing for windows as well start a business? An important point that I would emphasize is to atleast *skim* through the privacy and registration policies. Because these days everyone sells all the demographic information; and it would be nice, atleast to see, if they're being completely honest about it or not. So you might want to keep your information confidential. If you're registering a domain for your company and you want to maintain a veil between your personal contact info and the company contact info then perhaps you should think twice about registering everything on your name. Following is a small table that I looked into and analyzed. Based upon what I am looking for, column 1 has the highest ratings, last column has the lowest ratings. Some how, worlds fastest growing questions and answers site, is down! I wonder about (t)reason. :( They recently moved their data center to NYC, which is 80 milliseconds closer Europe. Before, while moving their data center, there was this information bar on the top of page warning about unexpected page down time, so if this would have happened then, it would have been not been a surprise. But I hope it gets up and running asap.